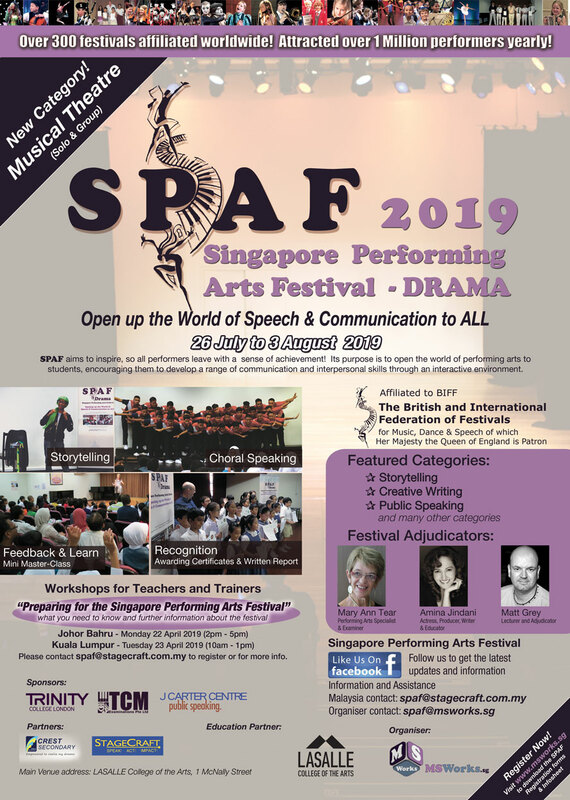 In Malaysia, Singapore Performing Arts Festival (SPAF) is proud to partner with StageCraft, our Official Representative for all entries from Malaysia. StageCraft is Johor’s largest Speech & Drama and Speaking Skills Training Centre, offering classes and courses in Acting, Communication Skills, Public Speaking, and Performance Arts. A division of the company, StageCraft Theatre Productions, promotes children’s theatre in Johor.